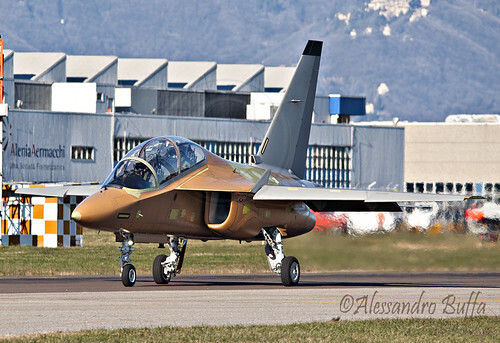 The first advanced trainer Alenia Aermacchi M-346 of the Republic of Singapore Air Force arrived at Cazaux Airbase in France. The M346 Advanced Jet Trainer is the replacement of old Douglas TA-4 Skyhawk. The arrival of the new jet trainer coincided with the visit of French Chief of Staff of the Air Force. A ceremony was organized for the occasion in the presence of Chief of Staff of the RSAF, Major General Ng Chee Meng. Source: ksdb.com.